The need to raise up and empower volunteers without sacrificing communication and oversight is our inspiration. With our background in ministry we understand your needs like few others can. 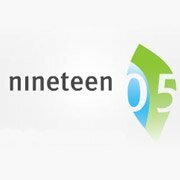 We’ve set out in partnership with local churches to develop an intuitive, easy to use, and powerful integrated tool set. This set is our answer to many questions you didn’t even know to ask. All at a cost you can afford. 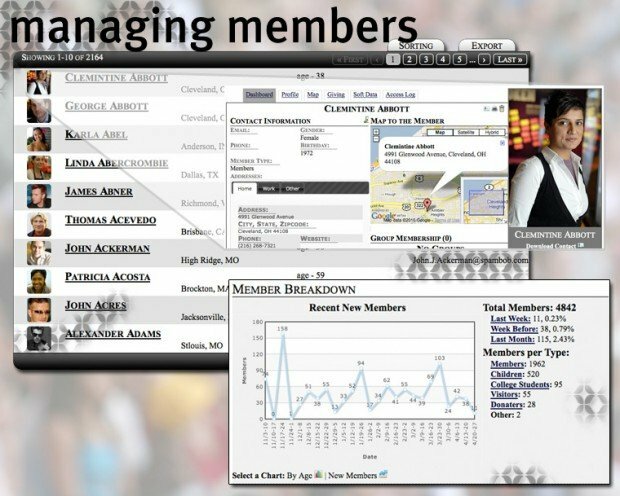 Managing Members: Each person you enter into 1905 receives a custom overview page, showing their involvement, giving, and more. In addition this same roster of members is used throughout 1905. 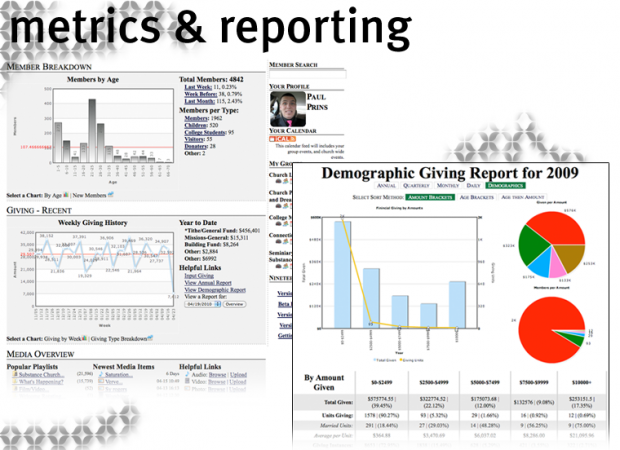 Metric and Reporting: By using the data in the system we can generate internal demographic information that you can use to understand who is giving, and who isn’t in your church. Who is getting plugged into small groups and who is not. 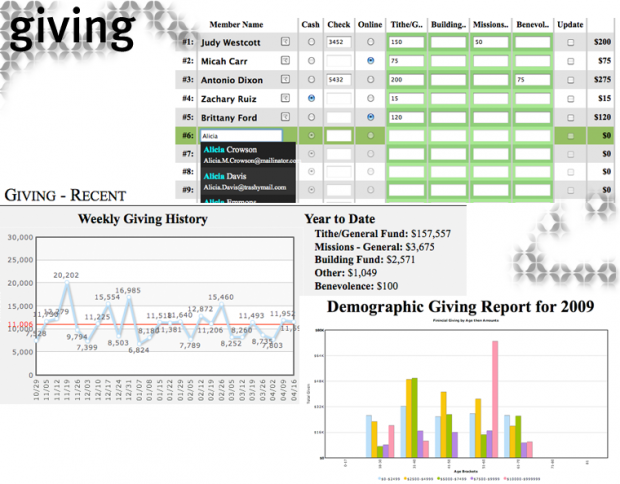 Giving: Enter giving information by simply typing the name of the person who gave. If they are new you can create their member profile right there. You can also assign giving IDs to members with the church. Groups and Calendars: Every group has access to send beautiful emails, manage their own roster, and create events on their personal calendar (which then becomes a part of the church calendar). Media and Podcasting: The media manager built into 1905 will build all the technical pieces of your podcast for you. It can also handle both audio and video episodes and will integrate with services like Feedburner to give you a rich understanding of who is watching and listening. Setup cost: $50. One time fee. The Offensively-Awesome Work of David Thorne, 27B Slash 6.